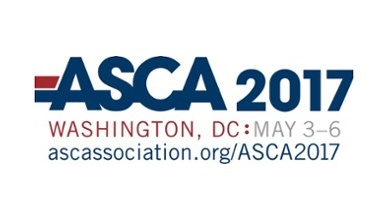 Washington, D.C. – May 3, 2017 – Surgical Information Systems, an industry leader focused exclusively on delivering perioperative IT to ASCs and hospitals, will exhibit at the Ambulatory Surgery Center Association (ASCA) Annual Meeting in Washington D.C., May 3 – 6. The conference and trade show brings together ASC professionals to network, learn and share best practices with peers, discuss marketplace trends, and advocate for the interest of ASCs. Learn how to develop and maintain a quality materials management program that can save your ASC time and money, even if you work in a small ASC. Focusing on ASC management, discuss the extensive knowledge required to be successful in leadership roles and get go-to resources you can use to educate and support staff in your own ASC. As a Connectivity Provider and Silver Sponsor, SIS will unveil its new brand and showcase its robust suite of products and services specifically designed to help surgery providers improve patient outcomes and satisfaction, reduce costs, and drive revenue growth. SIS solutions include revenue cycle services, ASC advisory services, ASC business and clinical management solutions AdvantX®, Vision™, AmkaiOffice™, AmkaiAnalytics™, and the number one rated ASC specific EHR, AmkaiCharts™. Surgical Information Systems will be in Booths 501 and 715. 1Black Book Research Rankings – “Top Electronic Medical Records/Electronic Health Records Vendors” April, 2017 & “Top Ambulatory Electronic Health Records Vendors Comparative Performance Result Set of Top EHR Vendors,” May 2016.